Equal parts vision and zeal, Issam Kazim is Dubai’s C-level tourism ambassador, overseeing the PR, marketing and strategy of the world’s most meticulously branded destination. 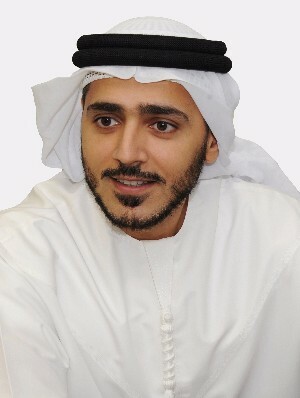 The Emirati executive has helmed the Department of Tourism and Commerce Marketing (DTCM) since 2014, during which time visitor numbers have soared like the city’s very own skyline, but with increasingly ambitious goals to draw even greater throngs, and a fierce schedule to fulfil the vision surrounding Expo 2020, his plate has never been so full. We met at the sidelines of the recent Arabian Travel Market to find out more. From IMG Worlds of Adventure to Legoland Dubai and so much more, Dubai has evolved and developed an experiential family offering beyond the so-called “traditional luxury”. Are you confident it can excel with both? We want to make sure people spend a longer time in Dubai, therefore it has to be convenient and comfortable with service levels of the highest standard. We’re creating an incentive plan to encourage people to invest in the three- and four-star sector, while not dropping the service levels, as people come with an expectation of such high standards. What plans are in place to help bolster service levels across the emirate? We piloted a project to train a number of taxi drivers to greet visitors and share information in specific ways, leaving nothing to chance. Then we decided to create a programme called “The Dubai Way”, elevating the experiences you get with any five-star hotel with an added difference, bringing local, cultural experiences into the mix. We also announced we will develop part of the rocky mountain area of Dubai called Hatta, which has been very popular with residents but less so with tourists. You’ll obviously seek to preserve the natural beauty of Hatta, so what else will change there for visitors? As well as tours guided by the indigenous residents, we’ll be creating new camping sites and expanding the mountain-biking tracks. We have trekking tracks there, and canoeing where the dam is. The idea is to draw attention to the lesser-known areas; we talk about these areas like the old souks but there’s a depth of knowledge that people aren’t aware of when it comes to them. There are also new developments in and around the older parts of Dubai that will extend the experience, with more of a modern offering so that they won’t impact the traditional offerings that exist already. There’s certainly a constant evolution, and we can expect to see greater numbers of cruise visitors – a projected doubling of numbers by 2020. What can cruise guests expect? This is something we’ll be building up strongly. A cruise experience itself can be unbelievable but it needs to be matched with a destination offering that can match what’s on-board. That’s become a main focus for us, ensuring that visitors to Dubai have a variety of options. People have such a range of interests, and we’ve recently launched Dubai Parks and Resorts and IMG, both destinations within a destination. So when cruise guests come to Dubai, whatever the group size, there’s an increasing number of options around the city.